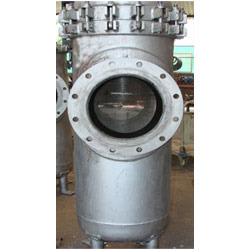 We are the leading manufacturer, exporter and supplier of Industrial Boilers, Pressure Vessels, Tanks and Chimneys. We are also provide the Boiler Installation Services. We are a trustworthy entity engaged in manufacturer, exporter and supplier of Industrial Boilers, Pressure Vessels, Tanks and Chimneys etc. These are designed by our highly technical professionals as per the latest technological advancements. We also provide the services of Boiler Installation Services. Our offered range is widely recognized among clients for its high dimensional accuracy, low maintenance, corrosion resistance and longer service life. We offer these products in various specifications in order to cater to the diverse needs of clients. Moreover, our valuable customers can avail the entire range from us at industry leading prices.